If you want a luxury car, you can save money and get plenty of premium amenities in the 2017 Toyota Avalon. It all starts with a test drive at Pitts Toyota dealer serving Warner Robins, GA. The first requirement of a luxury car is that its cabin be quiet and serene. The Avalon is built with anti-vibration subframes to prevent roughness, noise insulation and acoustic glass to keep out noise, and dual MacPherson suspensions to smooth bumps. Every Avalon is made with high-quality materials. Leather seats are comfortable and power-adjustable. Favorite amenities and comforts are packed into every edition. Find financing. Information for your trip comes from predictive traffic and navigation with a Doppler Weather Overlay. The split-capable, high-resolution touchscreen comes with the Entune App Suite. You can easily find music to entertain you with Bluetooth streaming audio, HD radio, and, for iPhone users, Siri Eyes Free. Only Toyota gives you the cache radio feature with the ability to rewind a live broadcast to repeat the song you just heard. The 2017 Toyota Avalon comes with more standard automation than some luxury cars today. You get an autobrake feature which reacts when the system spies pedestrians or stopping cars. Another aspect is the lane assist that reacts when the system notices the car has strayed from its lane. Light sensors regulate the high beams, and adaptive cruise control regulates the car’s speed for both swiftness and safety. Ten airbags and Toyota-exclusive whiplash-lessening front seats are also standard. 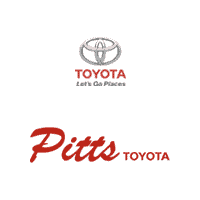 You can learn more and take a test drive at Pitts Toyota dealer serving Warner Robins, GA.